Education: BSc in Economics and Business Administration, MSc in Business Administration and PhD in Economics. He has over seventeen years of experience in economic research. He has conducted scientific research on fisheries economics, natural resource valuation, value creation and value management. He joined AZTI in 2000, where he has been working in the field of Fisheries Socio-Economics, involved in many European projects and author of several scientific outputs, including papers, conferences and book chapters. 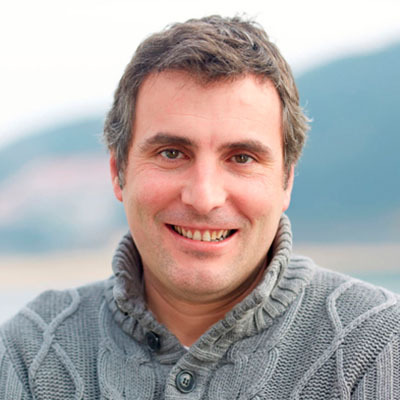 From 2008 he is member of the Member of the Scientific, Technical and Economic Committee for Fisheries (STECF) and since 2012 of the steering committee of EAFE (European Association of Fisheries Economics). Prellezo R., Accadia P., Andersen J.L., Andersen B.S., Buisman E., Little A., Nielsen J.R., Poos J.J., Powell J., Röckmann C., 2012, A review of EU bio-economic models for fisheries: The value of a diversity of models. Marine Policy 36(2), 423-431.